Niche Product – Hobbies – Proven techniques to help your craft sales soar! Provided by a published designer with over 15 years experience! Gain confidence in yourself, and your products as each day passes once you see your profits explode like you’ve never seen them explode before. Learn wonderful techniques to increase your overall profits and receive top selling project patterns for some of today’s best selling items. 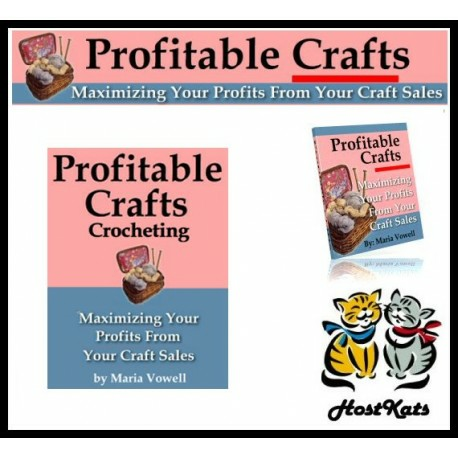 Profitable Crafts provides so much information related to maximizing your arts & crafts profits that you’ll never have to worry about if your products will sell or not. You’ll create your crafts with confidence knowing beforehand that you’re providing items that people will buy, and pricing them perfectly for maximum profits without ever having to lower your prices just because you think lowering your prices will help your products sell better.